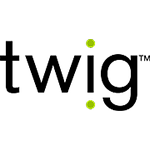 For more than 20 years Twig company is famous for its developments in the area of alarm and emergency signaling systems. Company products are manufactured at the high-tech production site in Finland. Twig devices find their application in the area of on-site safety, remote facilities diagnostics and mobile assets safety. Company clients operate in more than 20 countries worldwide.